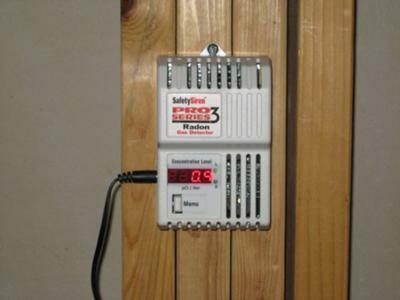 I had a radon test performed after noticing a neighbor on the farm next to us had a radon system on his house. I had our home tested and the results were surprising. The County never mentioned radon could be a possibility in our area. Three tests were done with an average of 13.9 pCi/L. Looking for remediation companies online I found Val's site as well as two local companies. Neither had performed remediation with our type of basement wall system. I emailed Val that I had a fully finished Superior Walls basement with integral weeping drain system (which also leaves a large gap between the slab and base of wall),as well as the type of sub slab and drainage system. 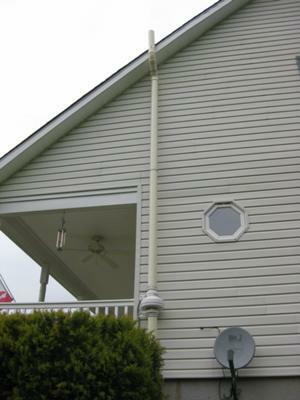 After a few emails Val came up with an easier, less costly solution using the daylight drain system by installing the entire system on the exterior. No mess, no unsightly pipes, no sweat. Val's advice on pump and pipe sizing were dead on. I ordered the parts from Val and went to work. I painted the vertical pipes to match the siding. I located and tied into existing daylight drain,installed Dranjer check valve at end of daylight drain. Needing another pair of hands I enlisted the help of a neighbor. We ran schedule 40 pipe up to roof, installed the pump, ran electric, installed Pro Series 3 monitor and tested system. The system install took two amateurs about three hours to complete. All went well and the system works great. After 2 days the monitor displayed 1.0 pCi/L. My lowest reading was 0.7 and has been consistently reading at 0.9 pCi/L. 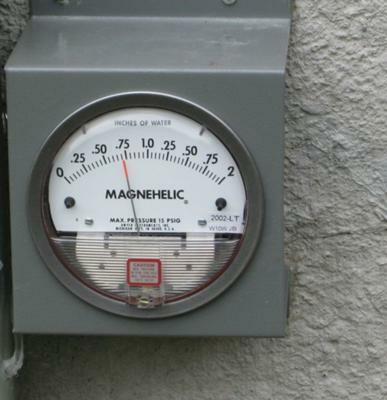 I later installed a Dwyer 2002 Magnehelic Gage with low temp option. Cost savings $525.00. Val's knowledge....Priceless!